I’m always happy to see another tap room open, so Chama River’s new Draft Station (1720 Central SW) is a welcome new stop on my way from Downtown to Old Town. They boast a number of Chama beers as well as a few from their sister brewery, the Blue Corn Café, and a rotating selection from the likes of La Cumbre and Marble. Like I said, I’m happy to see them open up, but with Boxing Bear, Red Door and another Bosque Brewing location either having already set up shop or getting ready to do so, I can’t help but wonder if this local brew renaissance can last much longer. We’ll just have to see who’s still standing in five years. Until then, I’ll do my best to keep my favorites in business (glug, glug). 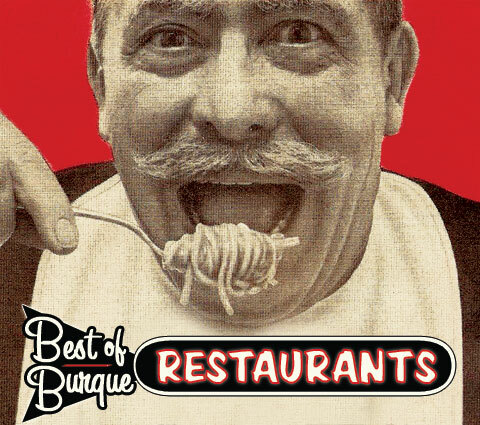 Thanks, titanic avatar of one of the most heated contests in Albuquerque, for reminding me that Best of Burque Restaurants is coming up, due on stands on Oct. 9, and you readers will get to start voting on Sept. 3! Check alibi.com for more information. Meanwhile, another addictive substance seems to be enjoying its own flowering in our wakeful city. Local coffee shops, seemingly beaten back by the rise of Starbucks over a decade ago, are suddenly popping up on every corner. One of the latest to join the perky throng is Humble Coffee Co. (4200 Lomas NE), which seems to be intent on differentiating itself from the others with an emphasis on cold-brewed coffee. The longer process creates a cuppa joe noticeably free from the usual coffee bitterness, making for a smooth, flavorful drink.